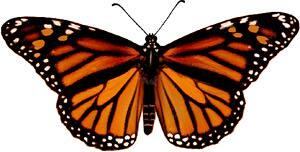 Whenever someone tells me that I’ve “changed,” I usually sit them down and show them a video about the caterpillar and how if it didn’t “change” it would never become the beautiful monarch butterfly. Then I put in a video of me, wearing nothing but a cape. what do u say when some says youve not changed at all (i could seriously use the answer)??? In that scenario, I pull out an orange and explain to them how its remained the same great product all these years. Then, I slowly peel and eat the orange, piece by piece. Then, if they’re still standing there, I punch them in the face.